The Rosenkavalier music is presented in Artur Rodzinski’s Suite, all the expected sequences included and some utterly seductive playing. For me, though, it’s Elektra that provides the principal draw, a 34-minute whistle-stop tour through the orchestral innards of what is perhaps the most devastating post-Wagnerian music drama. For me this brilliantly played Elektra Suite as ‘conceptualised by Manfred Honeck and realised by Tomas Ille’ is something of a wish fulfilment, rather like discovering the musical soundtrack to a favourite film without the distracting presence of voices. Just the score and the fabulous orchestration: nothing else is needed. Honeck himself provides the written annotation, taking us step-by-step – and minute-by-minute – through the action, be it Elektra’s triumphant dance at 6:22, the intermezzo depicting Klytaemnestra’s arriving with her full entourage of slaves and servants (13:25) or the murder scene soon afterwards. Eleven inter-linking scenes, minutely detailed within those scenes, a gruesome tour-de-force incorporating passages of great beauty, all of it superbly played and conducted. The Rosenkavalier music is presented in Artur Rodzinski’s Suite, all the expected sequences included and some utterly seductive playing. For me though it’s Elektra that provides the principal draw, a 34-minute whistle-stop tour through the orchestral innards of what is perhaps the most devastating post-Wagnerian music drama. Of course, I jest about the voices – who wouldn’t want a fine recording of ‘the real thing’ as well? 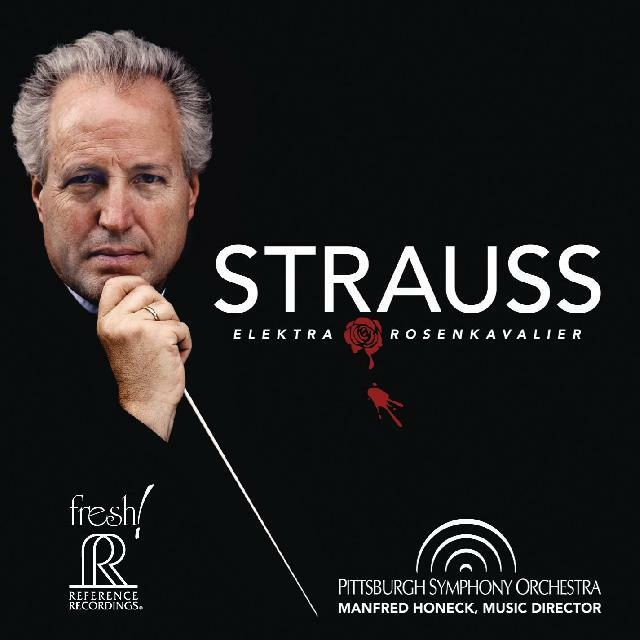 But Honeck and his magnificent band provide an essential Elektra ‘supplement’ that henceforth will be part of my regular Strauss listening, especially as the sound is so spectacular. Magnifique!